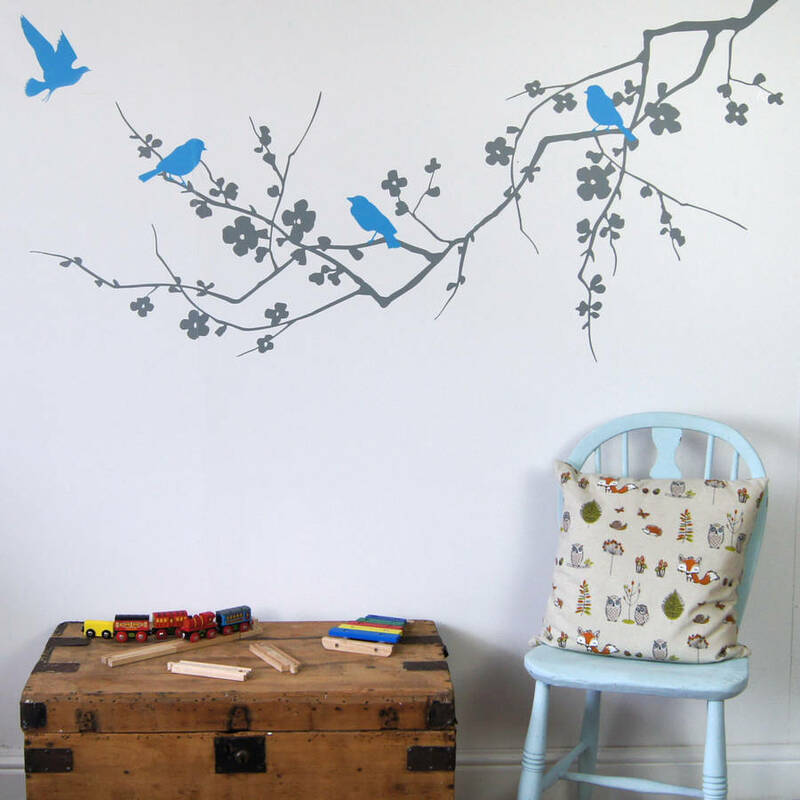 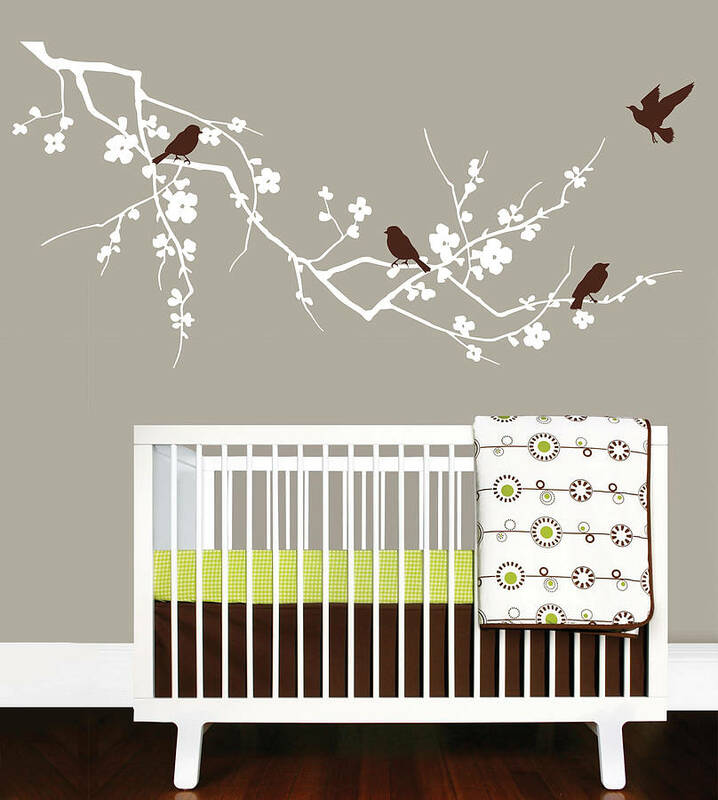 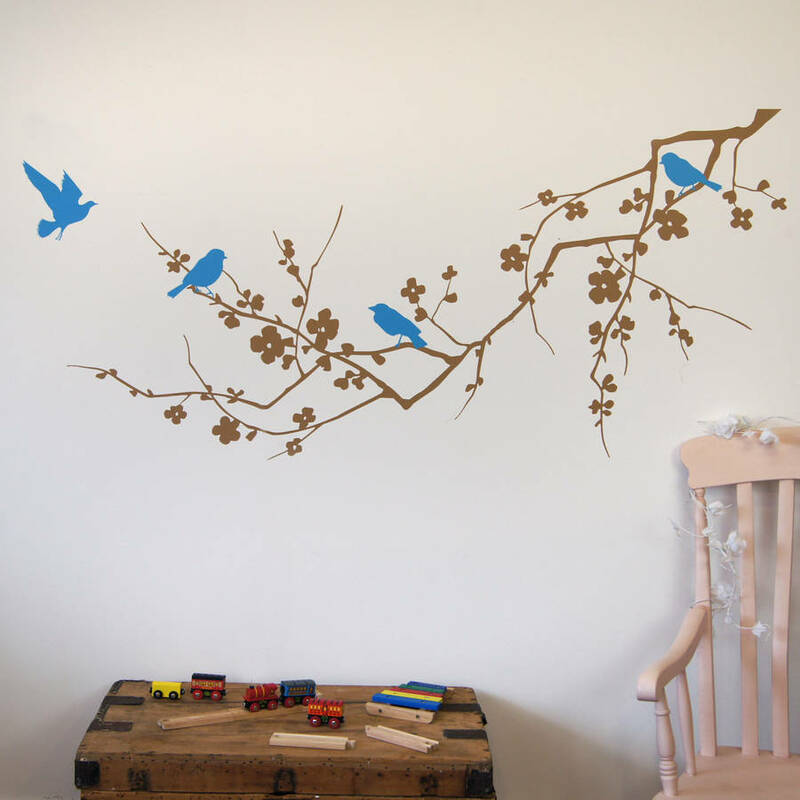 Our Childrens Birds On Branch Wall Sticker set is a stunning branch wall sticker with contrasting birds. 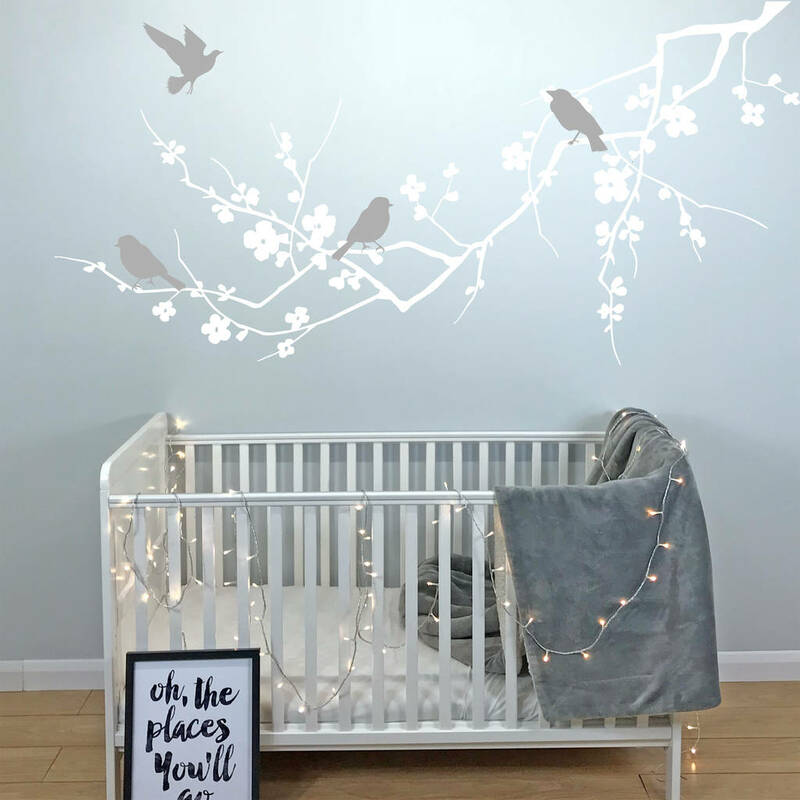 This wall sticker will look great on any young children's room, you can choose the colours to have this sit nicely on any empty wall in your bedroom. 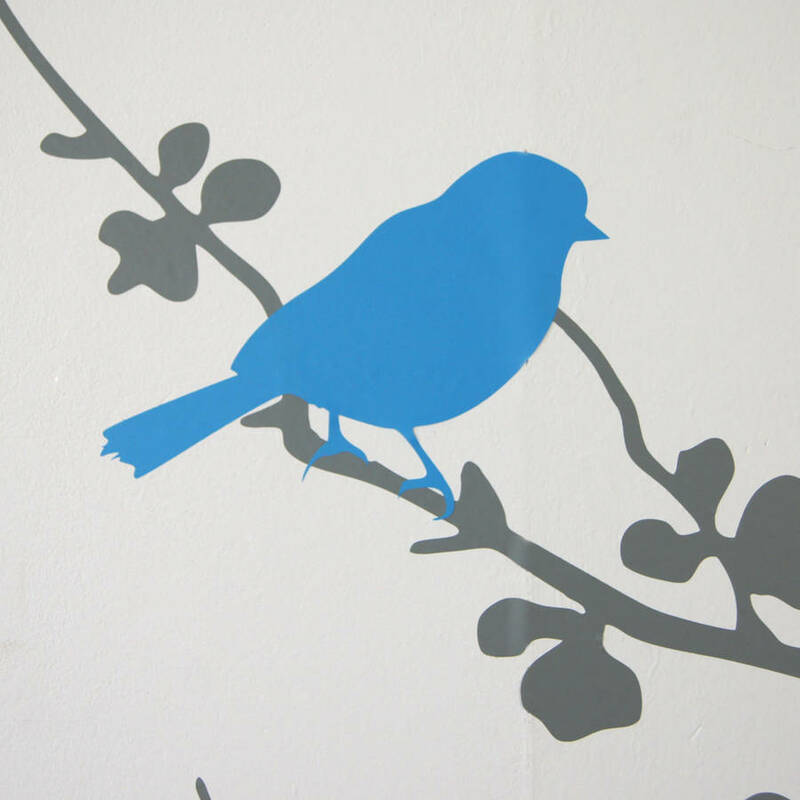 Precision cut from matt finish removable vinyl, perfect for modern interiors. 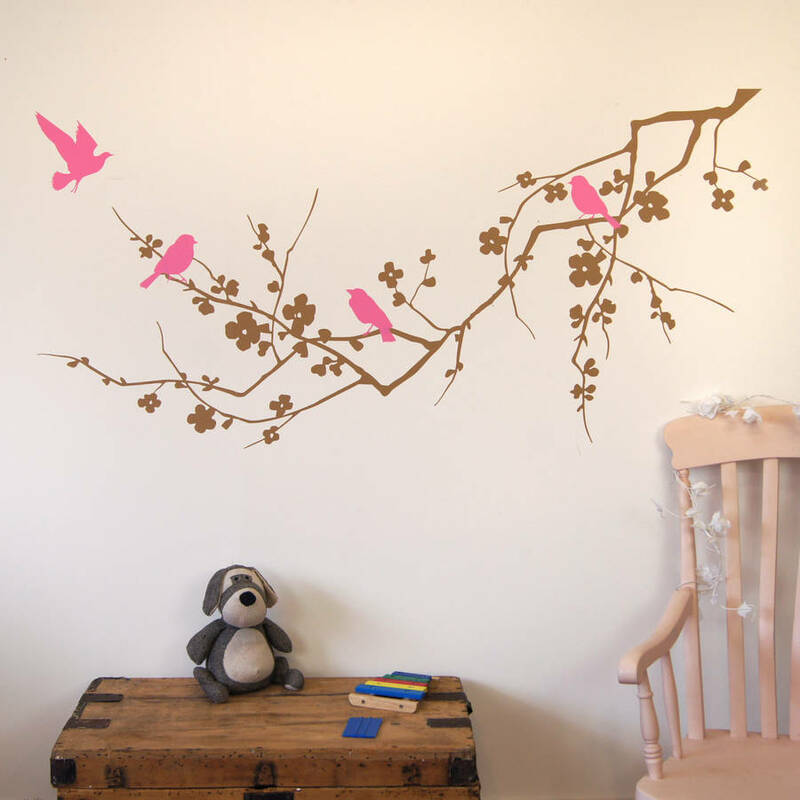 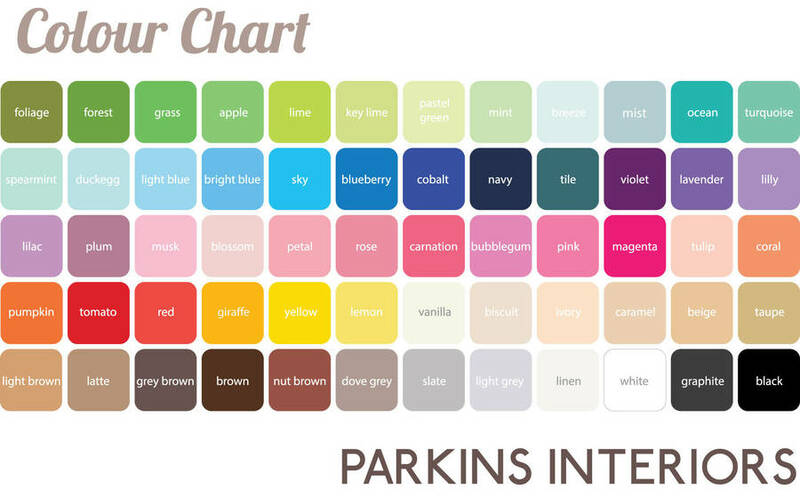 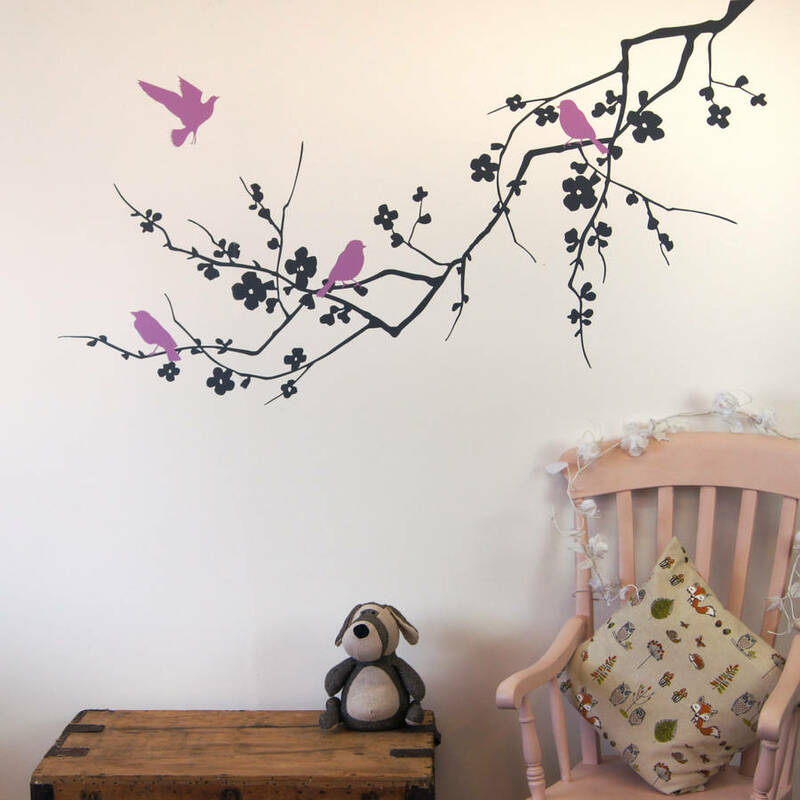 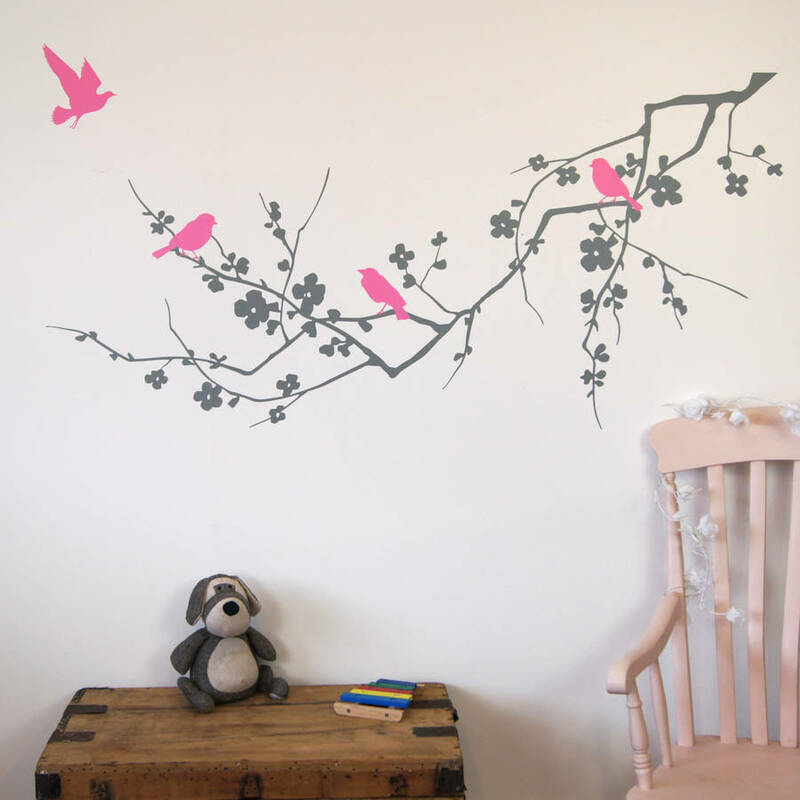 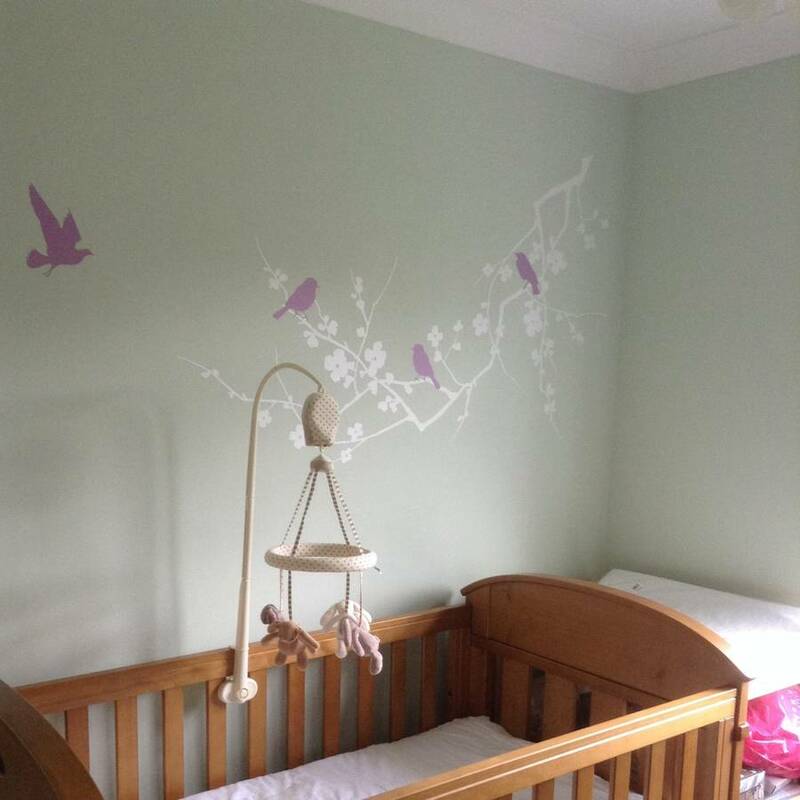 Once applied your wall sticker will look like it has been painted onto the surface with no outlines or border. 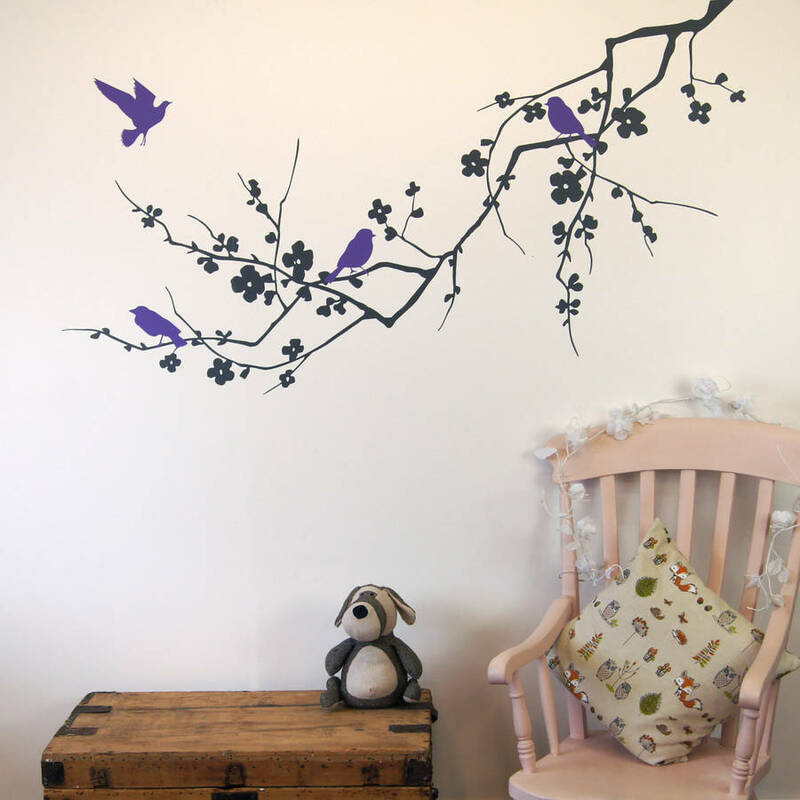 We use premium quality material that will practically last a life time when applied indoors. 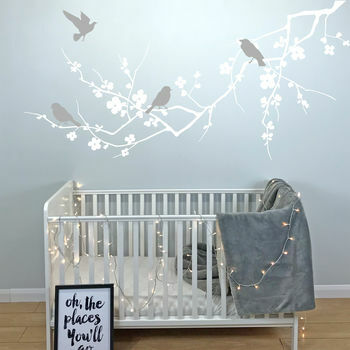 Fully re positionable so can be used again and again. 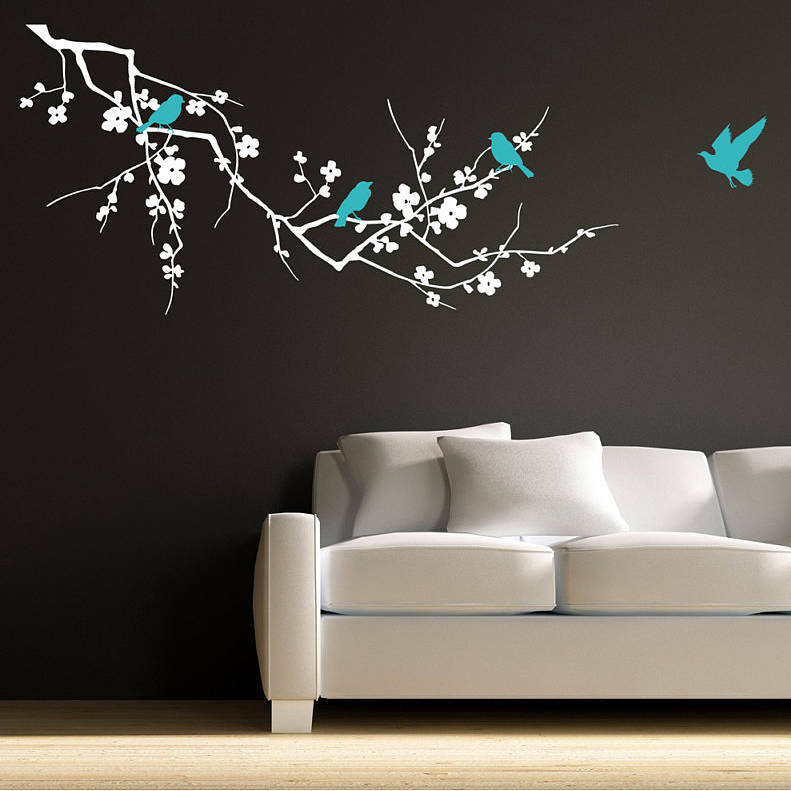 Using the latest print technology we are abke to product virtually indestructable stickers without using solvent based inks.